While there are many people who stake a lot of money on horse racing, there are also many people who like to place small stakes on horse racing, in the hope of picking up a big win. This means placing multiple bets and hoping to land a number of winners, and there are many different ways you can do that if you want to, and this can be especially good for newcomers, who don’t want to stake too much. If you are interested in betting on horse racing, but you want to keep your stakes low, then take a look at the following bets, which give you the chance to win big, from just a small stake. One way you can place a small staking bet to win a lot of money is to place an accumulator, a bet that many sports fans place each week in the hope of winning big. Accumulators are tough bets to land, but if you do manage to win one then the returns on your bet are potentially huge. 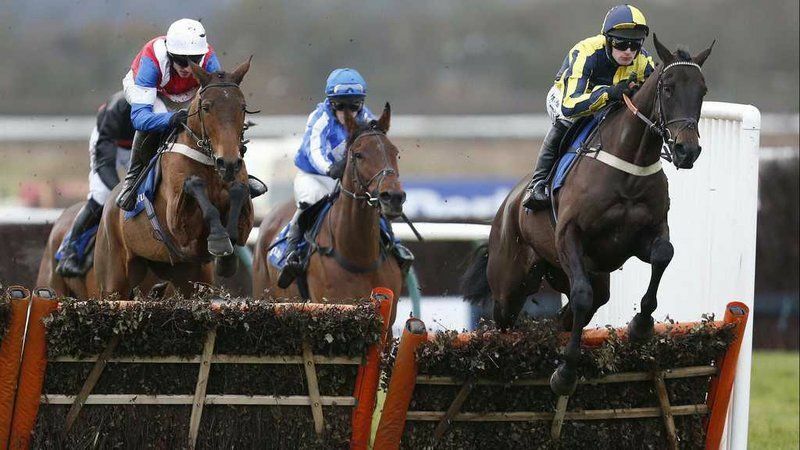 The accumulator is known better for being used on other sports, but there is nothing stopping you from placing an accumulator bet on horse racing. When placing an accumulator on horse racing, you don’t need to put as many selections in as you would with other sports, because generally, the prices on horse racing are better, even if you back every favourite. This is harder to land than with another sport, but there is a chance to win a huge amount of money from backing a horse racing accumulator. Like any other accumulator you have placed before, you need to have every selection of yours win if you want a return, so they can be frustrating if you get close but get nothing back from your bookmaker. The Yankee is a hugely popular horse racing bet that many people place every single day. The Yankee consists of many different bets, but at small stakes, you can place this bet without it costing you too much. There are 11 bets inside a Yankee, so you have 11 bets to pay for when you place one. For example, if you place a £1 Yankee then the total cost of that bet would be £11. A Yankee requires four selections and to get any return from your bookmaker you need at least two to win. If two win then you have one winning bet, so get a small return, three winners gives you four winning bets and a bigger return while if all four horses win then all 11 bets will win and you will get a big return. The advantage of a Yankee compared to an accumulator is that you don’t need all of your selections to win for you to get a return. You can have just two winners out of four, and get something back on your bet, if this appeals to you then a multiple bet like a Yankee will be the right type of bet for you. However, as part of the 11 bets, one of them is an accumulator on all four, so if you do manage to pick four winners out of four then you will still get a huge return on your bet. A Yankee is a different way to approach horse racing, but if you want to get a return even if you don’t have all your selections win then this could be the bet that best suits your style. Remember to stake your bet small, as there are 11 bets in total in a Yankee. A Trixie is another way you can win a big amount of money from just a small stake, and it is also another popular horse racing bet that many people place. There are four different bets inside a Trixie, three doubles and one treble. You need three horses to place a Trixie, and if you want to get a return then you need two out of the three to win. The big advantage of a Trixie is that if one selection lets you down, instead of it being frustrating like in an accumulator, you will get something back from your bookmaker, so you will make a small profit. There are four bets in total, so your bet will cost you four times your stake, a £1 Trixie will cost you a total of £4. With just three selections needed, if you do win big then it is unlikely that you will win as much as on a Yankee or an accumulator, but the Trixie is still a great bet to place. You can win a good amount off the winning treble in a Trixie, and you would also have three other winning bets with the three winning doubles in the bet too. A Trixie will not give you the same huge returns as the other two bets, but it is still a way to win a big return from a small stake. With just three selections, the bet only costs four times your stake so it doesn’t cost much to place. If you get two out of three winning selections then you will get a return and have a profit, which is an advantage over an accumulator, which can leave you frustrated if one horse lets you down. While many people take horse racing betting very seriously, there are also many who want to find ways of staking a small amount of money and giving themselves the chance to win big. The biggest win will come from an accumulator, although this is a very difficult bet to win. Elsewhere, Yankees and Trixies are also good bets to place, and with multiple bets inside them, you will get a return even if every selection doesn’t win. Try out the different options and see which one you feel the most comfortable with, but all of them are good options if you would like to win a large amount from just a small stake.